Members of Congress have laid the groundwork for the U.S Air Force to establish a new branch of the military, known as a Space Corps, by January of 2019. The proposal came from Congressmen Mike Rogers, R-Ala., and Jim Cooper. D-Tenn., the top representatives of the Strategic Forces Subcommittee, which oversees military space operations. They introduced the legislation into the House Armed Services Committee National Defense Authorization Act (NDAA) on Tuesday. 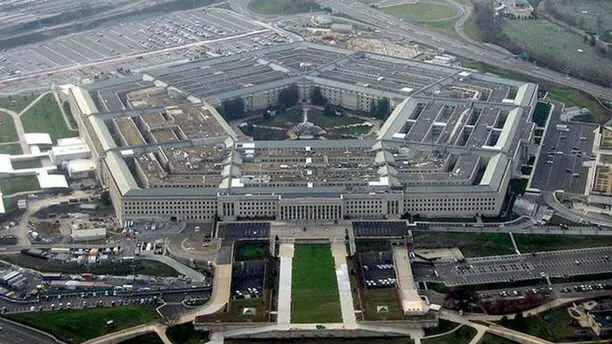 The Pentagon in Arlington, Virginia (above) was designed so a person to walk between any two points in the Pentagon in less than seven minutes. The Shanghai Pentagonal Mart by comparison has been called confusing and too large to navigate. Space would fall under the command of its own chief, equal in rank to the Chief of Staff of the Air Force, who would sit on the Joint Chiefs of Staff and answer to the Secretary of the Air Force.